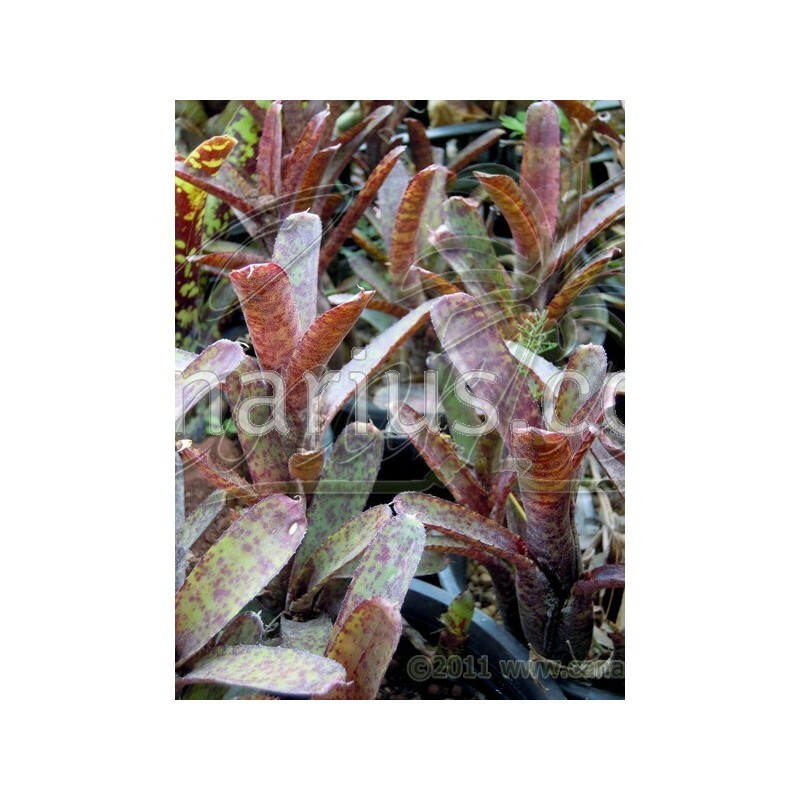 Tiny tube-bromeliad, suitable for terrariums, hanging baskets, rockeries or small pots. It is a small Neoregelia adaptable to different conditions. 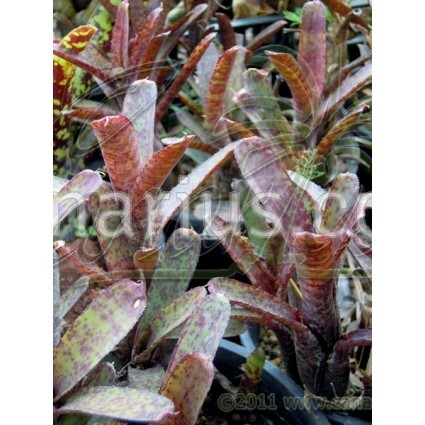 We offer a sun-grown rooted plant of Neoregelia ampullacea. We ship it worldwide.